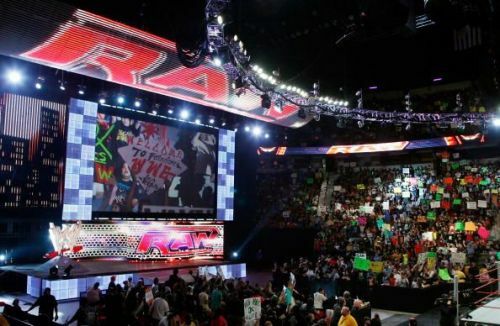 Which footballers would be at home on Monday Night Raw? Football is an extremely niche sport and not many are fortunate enough to live their dream of playing the ‘beautiful game’. Recently, Usain Bolt tried his ‘feet’ at football but his trial in the A-League didn’t go to plan and his footballing career met with a rather premature end. However, with the emphasis football places on its exponents physically, several footballers are well equipped to handle the rigours of other sports and forms of sports entertainment. Additionally, football is the most watched sport on the planet and its stars are famous all over the world. Hence, it has always been a fantasy of football fans to delve deeper into how their favourite players would conduct themselves in a slightly different environment. Enter the WWE. WWE, a sports entertainment company, is one of the most popular entities across the globe with people of all ages holding a soft corner. Thus, it would be intriguing to look at how a marriage of footballers and WWE would pan out. Through this article, we would take a look at five current footballers who wouldn’t be out of their depth in the WWE and might even give the existing wrestlers a run for their money. The midfielder moved to Barcelona in the summer from Bayern Munich. The Chilean has been sparingly used by Ernesto Valverde yet whenever he has been called upon, it has invariably been to inject some physicality. And it is his physical attributes that would make him an ideal candidate to venture into WWE. Strong as an ox, Vidal would give most wrestlers a tough time with his athleticism and his raw strength. To supplement this, his fiery temper would be a handful for the superstars on the WWE roster. In the WWE, one needs a ‘never say die’ attitude and Vidal possess that attribute in abundance. He also has the 'WWE look' as the Mohawk would supplement his aura. In addition, he has been on the end of several scuffles on the pitch and has never looked intimidated by anything thrown at him. Moreover, with him being a Chilean, the WWE could use him as a Latin American hero similar to Rey Mysterio. The qualities mentioned above make him a perfect fit for the WWE. 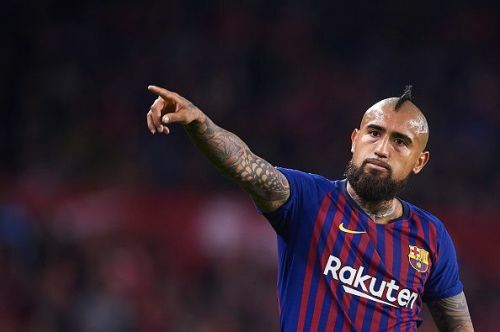 And if they indeed decide to pick some footballers for a fantasy bout somewhere down the line, don’t be surprised if Vidal features at the forefront of any such discussion.